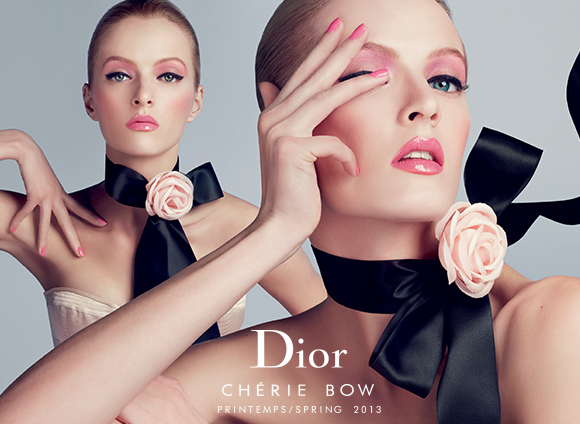 Inspired by Christian Dior’s love of bows, the Dior Cherie Bow makeup collection for spring 2013 matches girlishness with a distinctly couture feel. Harmonious colourways of ballerina pinks, dove greys and smoky black create a number of looks that range from the striking to the ultra feminine, and there is a focus upon glowing textures and pearlescent sheens. 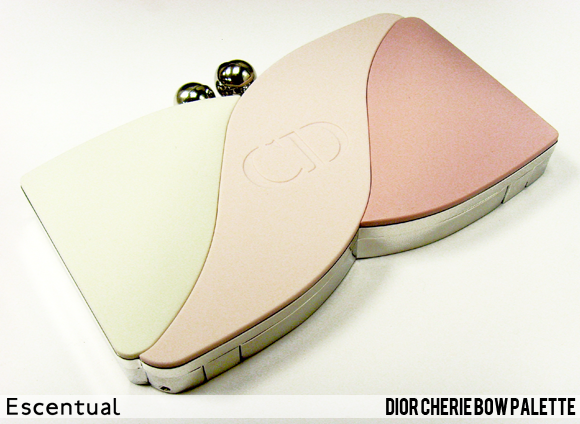 The star piece of the collection is this beautiful Cherie Bow Palette, inspired by the timeless shape of the Dior Fontanges bow and designed by Dior accessories designer Camille Miceli. 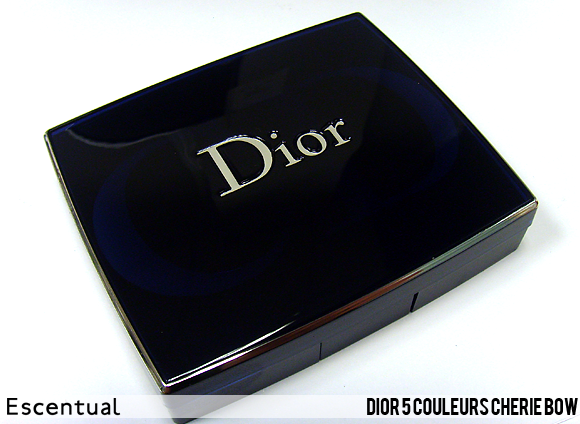 Its heavyweight metal casing has a ceramic effect top layer, which looks soft and feminine. When you open the palette, you’ll find three velvety eyeshadows, a cream eyeliner, a lipgloss and two brushes to apply it all with – plus a very handy panoramic mirror in the lid. The lipgloss is protected by a metal ‘trap door’ which can be swung open to reveal your lip colour when needed. It keeps eyeshadow dust out of the gloss when you’re on the move – genius! The three eyeshadow shades in the Rose Poudre 001 compact can be used separately, or used together to create the Cherie Bow look. The first shade, an oyster pink pearl, is wonderful for highlighting the eye. The next, a dove grey pearl, adds depth to the eye crease, while the last shade, a deep smoky black with fine silver glitter can be blended along the lashline. Line the eyes with the creamy jet black liner, and finish with a slick of the clear peach-pink gloss with its subtle shimmer. 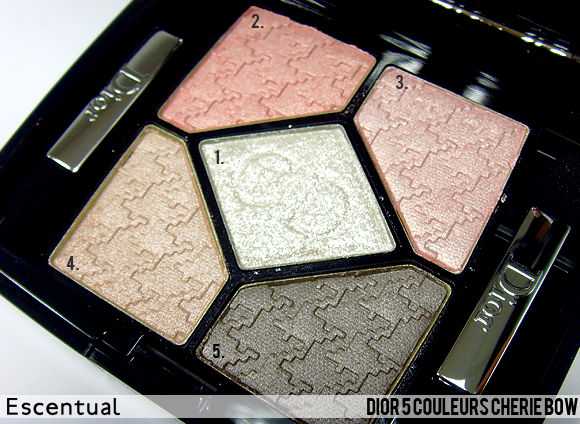 For this edition of the 5 Couleurs Eyeshadow palette, the creamy shadows are embossed with Christian Dior’s beloved houndstooth print. There are two harmonies available, and we’ve swatched the supremely feminine Rose Ballerine, a delicious collection of pale pinks that brighten the eyes beautifully. 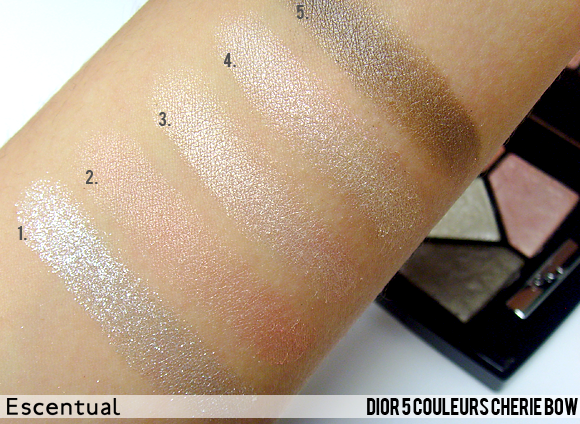 The first shade, an ultra-shimmering white, can be used alone as a highlighter, or can be layered on top of the other shadows to make them more glittery. 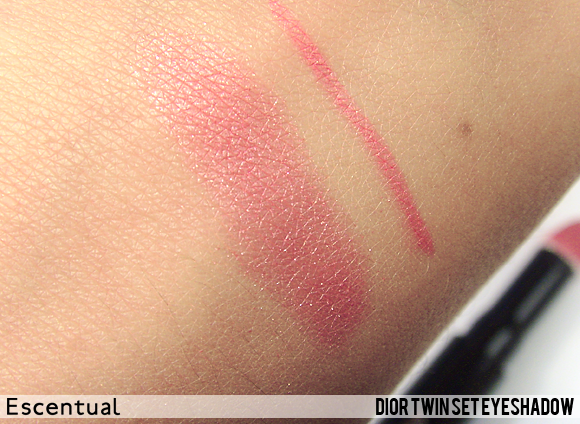 The next shade, a medium rose hue with a subtle golden shift, is wonderfully feminine. The third and fourth shades are a light rose pearl and an oyster pink pearl respectively, while the final shade, a dove grey pearl, adds depth. There are three re-promoted shades of lipstick in the Cherie Bow collection, 437 Charmante, 457 Candide and 687 Espiegle, and one beautiful new limited edition shade, 467 Bow. 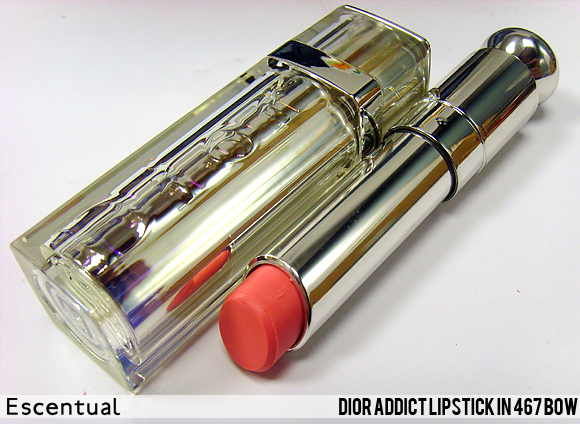 The texture of the Dior Addict Lipstick lends itself well to the softness of this collection: with 25% less wax than lipstick, it creates a reflective, gel-like glow. 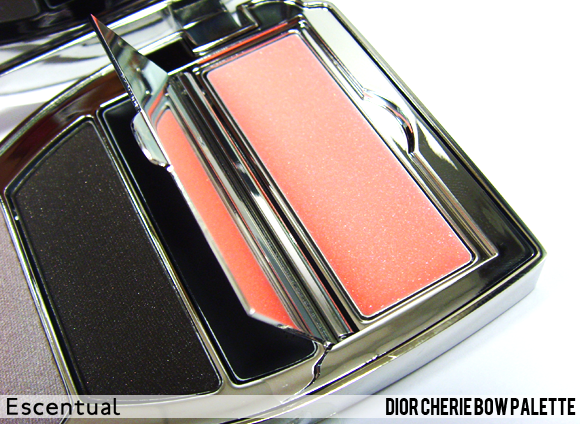 The soft rosy pink of Bow adds a subtle glow to the lips. The shade is a cool-toned baby pink with a milky cast, and you can see just how jellified and balm-like the texture is in the picture above! 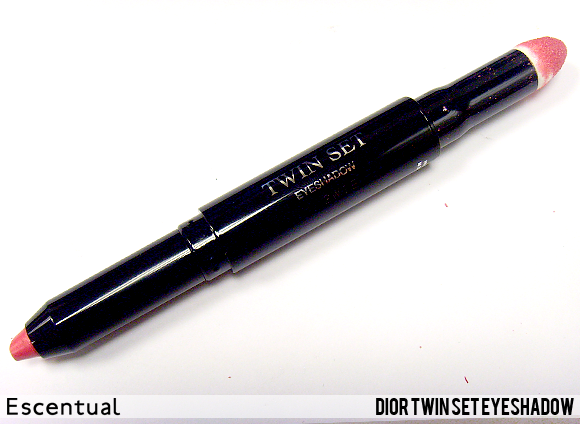 The new Twin Set Shadow Duo is a handbag essential. 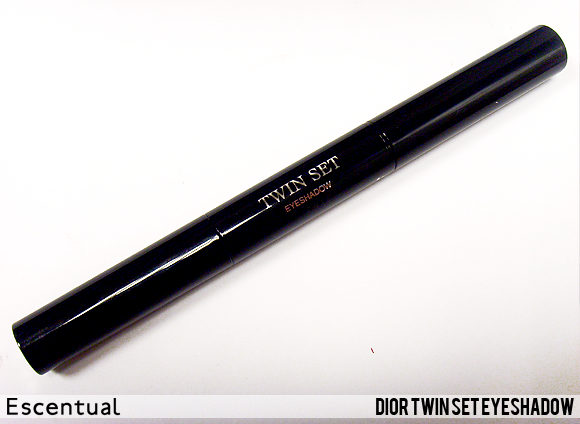 It takes your eyes from day to night effortlessly, and its sleek packaging can be tucked neatly away for touch-ups. Remove the lids and you’ll find a creamy eyeshadow pencil at one end, and a foam blender packed full of shimmering powder at the other. 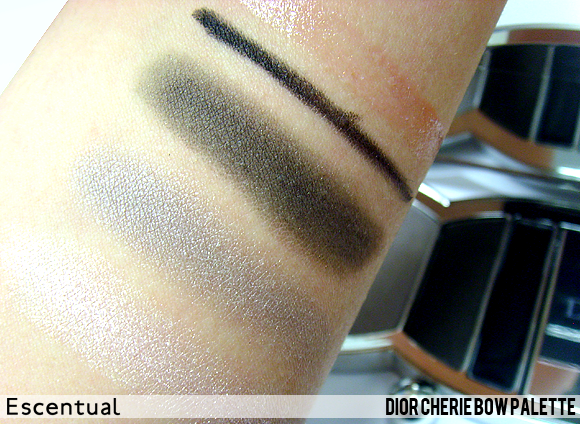 Apply the creamy shade first for dense colour, and pat the foam blender on top for a high impact, layered eye look. 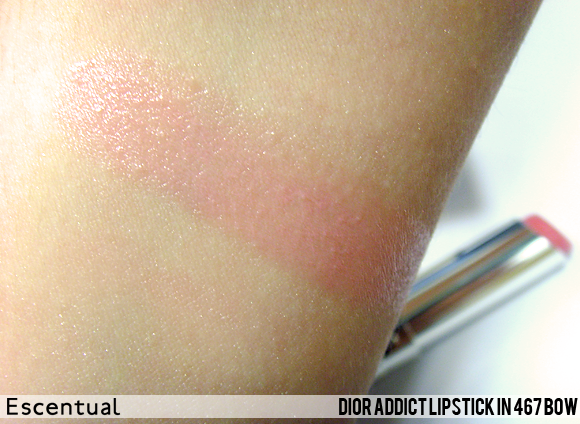 We swatched the shade 840 Ballerina Pink, a vivid rose pink. The creamy pencil glides easily for a stark line of colour that can be blended for a more subtle look, while the shimmering powder is surprisingly pigmented, and gives off a beautiful sheen. 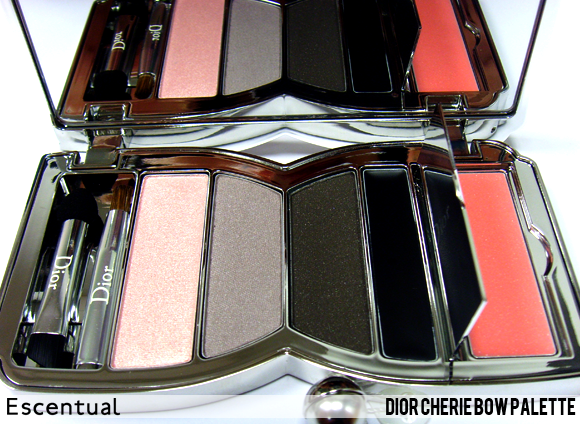 Also included in the collection are new shades of Dior Vernis, 3 Couleurs Smoky, and DiorBlush, plus new products Dior Addict Lip Glow and Dior Addict Nail Glow. Want to see the collection in action? Take a look at our Spring Get The Look right here. This crayon looks very luxury ,is nice smooth and color is great. 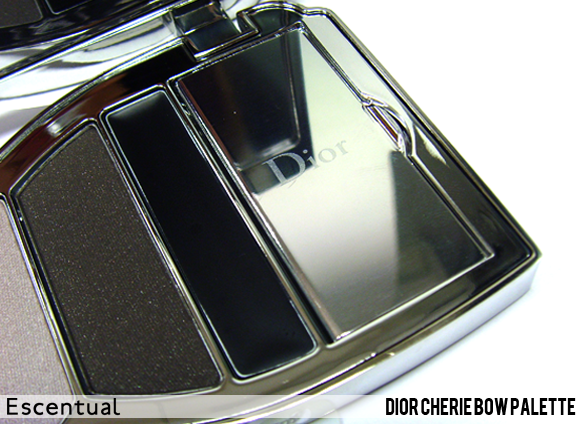 eye shadow in pot gives lovely finish and is so easy to use,just love it! the best idea for travel used on the go or if you want to do quick make up,lost a long hours without being cakey on your eyes and pink one is fantastic... very recommended. This entry was posted on Friday, January 18th, 2013 at 9:04 am and is filed under Make-up, New products, Trends. You can follow any responses to this entry through the RSS 2.0 feed. You can skip to the end and leave a response. Pinging is currently not allowed.